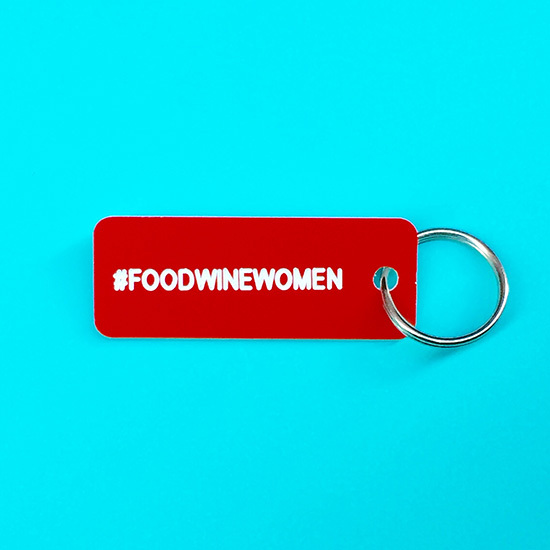 Want to support #FOODWINEWOMEN—and make it a lot easier to spot your keys? Food & Wine has partnered with Various Keytags to make this awesome tag in a rainbow of colors, and a portion of the proceeds will go to the Toklas Society. Want to support #FOODWINEWOMEN—and make it a lot easier to spot your keys? Food & Wine has partnered with Various Keytags to make this awesome tag in a rainbow of colors, and a portion of the proceeds will go to the Toklas Society, a non-profit network dedicated to creating opportunities for women in the hospitality industry. Buy your #FOODWINEWOMEN keytag at variouskeytags.com.